GSMArena team, 10 Oct 2018. "Gaming" tends to get thrown around as the next buzzword all over the tech industry. And smartphones are no different. Frankly, we are surprised this development took quite so long. But now, it's an ongoing trend and one gaining momentum. For the most part, that's a great thing. But a young and untapped market does also allow for some opportunistic branding practices and questionable offers along the way. It's just the order of things, growing pains, in a way, that anybody who was around in the 90s and the Gaming revolution on the PC front is all too familiar with. What we are getting at here is that not all gaming phones are created equal and work towards the same goals. Ask any professional gamer what a gaming device is supposed to be and the resounding answer will be - "a device giving you a competitive edge over others." But that's not necessarily the case with all devices we see come out. Sometimes, a manufacturer will be happy just to enhance the overall user experience an not much more. Drawing from its experience in the PC realm, Razer is geared more towards the former than the latter. That's why you won't see any notch on the Razer Phone 2's 16:9, content and performance-minded high-refresh rate display. Why the top and bottom chins are still plenty wide to accommodate both thumbs and a powerful stereo speaker setup and haven't given way to a trendy, extra-tall display. Why the overall control scheme hasn't changed over the first generation. 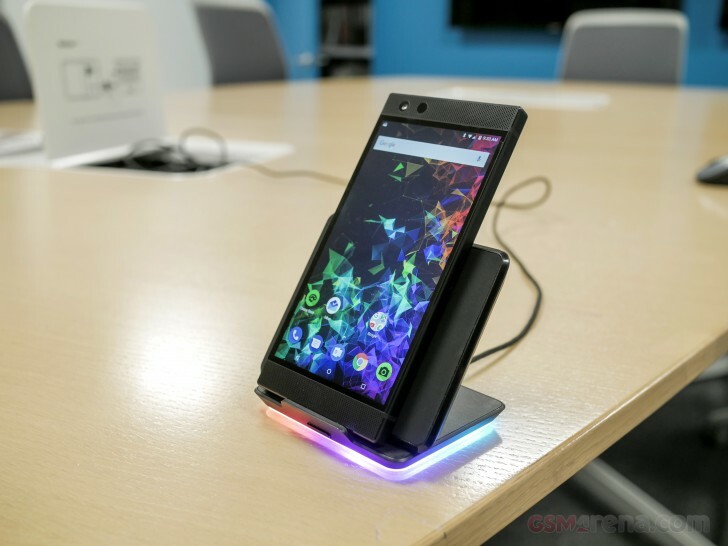 In fact, the design remains almost untouched, for a few compatibility reasons, we'll get into later and also since it is far from the primary focus of the Razer Phone 2. A textbook example of function over form, mostly everything that's changed on the second generation Razer handset is specs-related, or otherwise "under the hood". The core internals have been refreshed for 2018, to once again feature Qualcomm's flagship chipset offer, complete with a proper cooling solution. 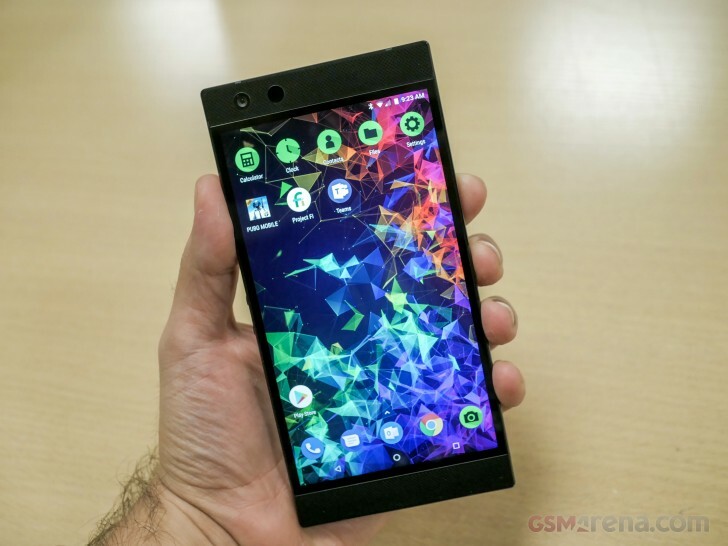 Beyond that, Razer has worked really hard to patch up many of the weak points, holding the original Razer Phone back from being a great daily-driver smartphone. The signature 120Hz, IGZO display is now significantly brighter. The camera setup has seen a major overhaul, through a new dual-module setup, the inclusion of OIS and numerous software features, to bring it up to 2018 standards. Quick Charge 4+ and Qi fast wireless charging have been thrown in the mix. Overall, everything about the Razer Phone 2 seems familiar, yet improved and refined. An experience quite similar to upgrading your computer's GPU or swapping your console for the next version - both notions which gamers are accustomed to and comfortable with. Still, the question remains as to whether the upgrade job was enough to mend all or at least most of the issues we found with the original Razer Phone. We got to spend some hands-on time with the Razer Phone 2 and can't wait to share our impressions. Still, you will have to wait for the full review for those all-important quality-of-life metrics, such as battery endurance - a particular issue that prevented us from loving the original Razer Phone as the complete package.